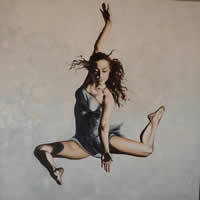 Ilze Coetzee is a South African artist, who was born in Gauteng in 1982 and now resides in Western Cape. This promising young artist has been painting for more than a decade and has chosen to make her passion her career. She specializes in Oil, Acrylics and Pastels with the main theme of her work being African people, which she has been doing under the pseudonym, Ilaai, since 2005. She has also started working in various abstract fields, landscapes & cityscapes that have been received very well from different groups in South Africa. Since the age of 16 her work has won various prizes and she completed a Bachelor in Fine Arts at the University of Stellenbosch in 2004. 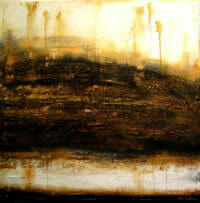 Her art is popular in local as well as European markets and has obtained International stature in many instances. Her work has been purchased by buyers from Germany, the Netherlands, the United Kingdom, The United States, Italy, France and New Zealand. She’s also been commissioned to produce works of art for Monty Shadow, Paulo Coelho, Reutech Radar Systems (Pty) Ltd. and Miele SA.